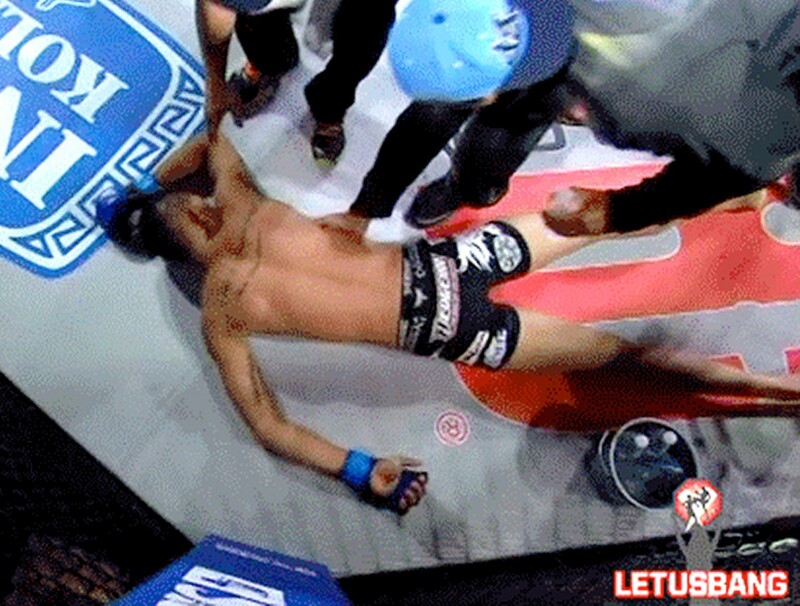 Earlier today we talked about Friday’s RFA event where one of the main event fighters, Junior Maranhao actually lost consciousness and fell off his stool after the 4th round of his title fight with Matt Manzanares. We were outraged, as were most fans we heard from. The biggest issue is that the ringside physician didn’t even look at Maranhao after he was propped back up by his corner men. Video clearly shows the doctor chatting casually with the corner men and then with a pat on the back for Maranhao, he was gone. MMA Mania’s Matthew Roth reached out to the Wyoming State Board of Mixed Martial Arts for a comment. Surely they would be as disgusted as everyone else and reprimand the doctor and referee who blew it, right? Nope. Thank you for reaching out to the Board. As to your question/comments regarding Mr. Maranhao, he was thoroughly examined by a licensed physician after he fell off his stool between the 4th and 5th round of the RFA event in Cheyenne on April 11. He was also examined by his corner men and the referee. All parties, including Mr. Maranhao, believed and stated unequivocally that Mr. Maranhao was medically safe to and capable of finishing the fight. In fact, he fought well in the last round and lost in a close split decision. He was examined by a licensed physician after the bout as well and again found to have no neurological or other medical issues of concern. Whichever board member wrote this, but they are either stupid or lying. Everyone can clearly see that the doctor DID NOT examine the fighter, as is stated above. The word “thoroughly” is used and is probably the most laughable part of the response. The fact that Maranhao went on to “fight well” in the final frame is completely irrelevant. What if he passed out again? Would they use that hindsight to determine that the officials WERE wrong after all? What happened afterwards doesn’t matter in the least. The job of the commission and the officials representing the commission is to protect the competitors of the sport. They failed. Are we getting to the point where even the people in charge of monitoring safety regulations are pushing the limits? Perhaps. More likely, I think this response was sent hastily with a hint of arrogance. Kind of a “don’t question us; we know what we’re doing” brush off. Whoever wrote this letter should do one thing first—watch the damn video. I just wonder if the other two commissioners are pissed at the author for signing ALL of their names to that ridiculous response.